BikeRegister, the UK’s national cycle database and online bicycle identification and registration site, reports more than 820,000 bikes registered – and rising. 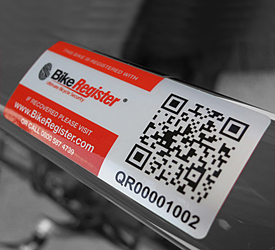 BikeRegister is a Secured by Design (SBD) member company, having achieved Police Preferred Specification. 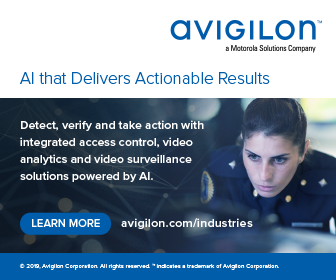 It is used by every UK police force to search for stolen and recovered bikes, and is the preferred bike marking system of the Metropolitan Police and British Transport Police. Registering and marking a bike, helps police and cycle retailers identify and verify the legitimate owner of bikes that have been stolen or are being resold. The latest UK official ONS crime statistics show 97,011 reported stolen bicycles in England and Wales during the last year. – A woman from Wandsworth who had her stolen bike recovered and returned to her by the Met Police after she spotted it, by chance, while riding on another bike. The stolen bike’s details were checked on BikeRegister and it was proved that the woman was its rightful owner. – A man who had his bike returned after it was stolen from Kensington High Street around ten years ago. The bike was seized recently by the Met in Homerton from drug dealers who were using it to make drug runs. When police checked the BikeRegister database, the bike had been flagged as stolen nearly a decade ago and the real owner was surprised to receive a call from police to collect it after all these years. – Two Met officers spotted a stolen bike while doing a bike marking session in Enfield. The officers noticed that the bottom bracket of the bicycle had been scratched away where a BikeRegister number would have been placed. Checks made with BikeRegister identified the frame number as belonging to a bike that had been stolen three years previously and provided the officers with the owner’s details. The process took three minutes. A call was made to the registered owner of the bike, who was delighted as they hadn’t expected to see the bicycle ever again. – A Met PCSO from Tower Hamlets has recovered over 400 stolen bikes and returned many of them to their owners after tracking them down on BikeRegister. Police in Tower Hamlets made a number of arrests after the thieves were caught in possession of bikes listed on BikeRegister as having been stolen. BikeRegister security marking involves permanently and visibly marking a bike with a unique ID code to prove ownership and placing the details of the bike on a secure national database, accessible to the police 24-hours. Each BikeRegister kit contains deterrent warning stickers. Not only does BikeRegister deter thieves, it alerts police to the fact that the bike is marked and registered. If a bike is stolen and then recovered, police can check the marking and log onto the database to quickly verify the true owner and reunite them with their bike. As part of the scheme, each bike owner is issued with a personal logbook as proof of ownership. Metropolitan Police Designing Out Crime Officer Lee Honey said: “I cannot stress enough the importance of bicycle owners registering identifying features of their bicycles with an online database, such as BikeRegister. By registering the frame number, other distinguishing features and also uploading photographs of the bike with an online database such as BikeRegister, cyclists will have improved their likelihood of being reunited with their bicycle should it be stolen and later recovered by police.